Offspring3 gave me this pretzel die for my birthday, I finally pulled it out to use it (Sorry! She knows I love it!). I started with mustard colored card stock, and blended 3 colors of Distress Ink on that. I was pleased with the result. I used a Signo Gel Pen to make the white salt crystals. 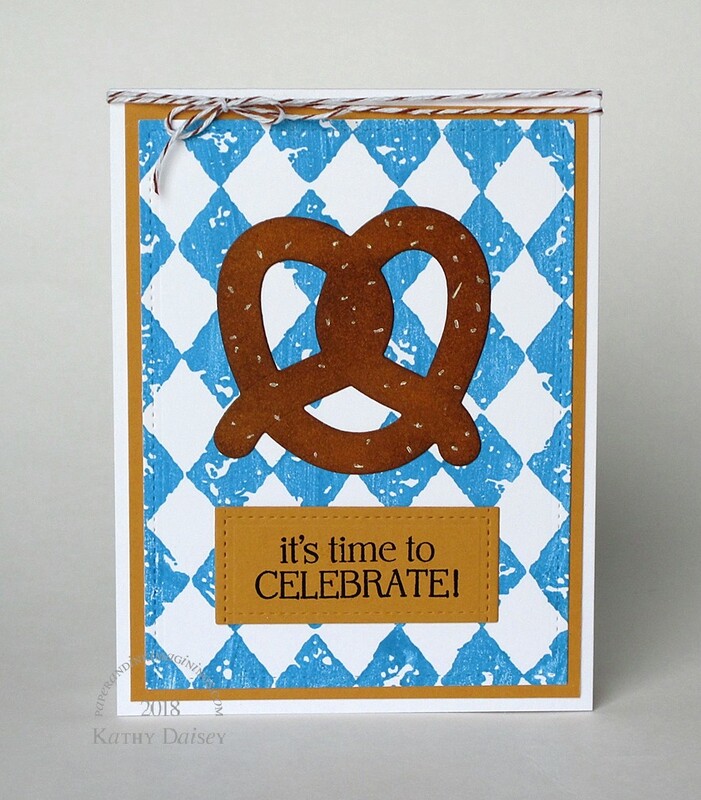 Categories: birthday, card, congratulations | Tags: Hero Arts, Lawn Fawn, Martha Stewart, Neenah, Ranger, Simon Says Stamp, Stampin' Up!, Tim Holtz, Tsukineko, VersaFine | Permalink. Supplies: Stamp – Rubber Stampede, paper – Neenah Classic Crest Solar White, Stampin’ Up! Daffodil DelightPacific Point, Painted Blooms DSP (retired), ink – VersaMark, dies – My Favorite Things, butterfly punch – Martha Stewart, embossing powder – Ranger Liquid Platinum. 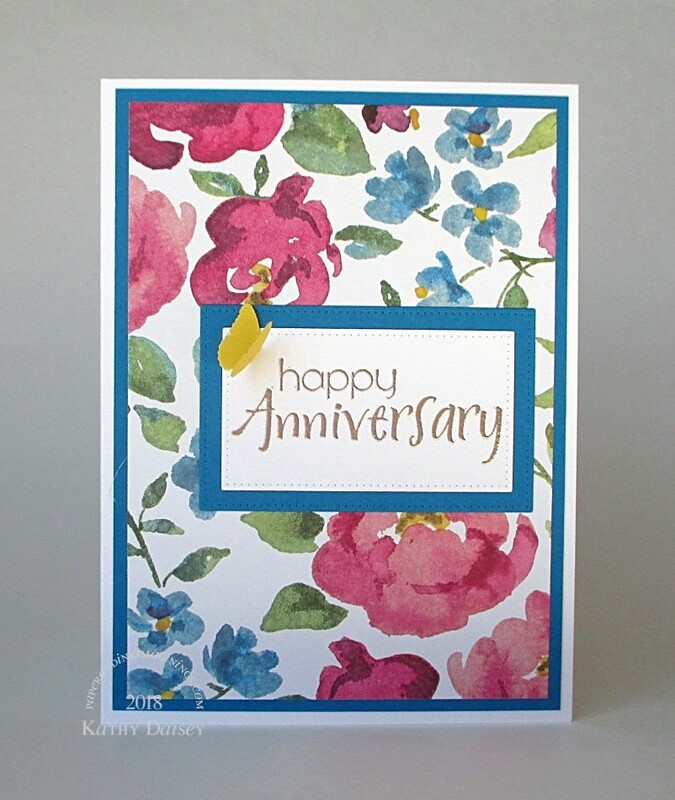 Categories: anniversary, card | Tags: card, Martha Stewart, My Favorite Things, Neenah, Ranger, Rubber Stampede, Stampin' Up!, Tsukineko, VersaMark | Permalink. Just a break from overall floral cards. Supplies: Stamps – Hero Arts, Mama Elephant, paper – Neenah Classic Crest Solar White, Stampin’ Up! Bashful Blue (retired), Wisteria Wonder, inks – Copic B21, BV01, E23, E53, VersaFine Vintage Sepia, dies – My Favorite Things (pierced rectangles), Taylored Expressions (banner), embossing powder – Filigree Fine Art Powder clear, twine – Martha Stewart. Categories: birthday, card | Tags: card, Copics, Hero Arts, Mama Elephant, Martha Stewart, My Favorite Things, Neenah, Stampin' Up!, Taylored Expressions, Tsukineko, VersaFine | Permalink. I really like square cards – how about you? 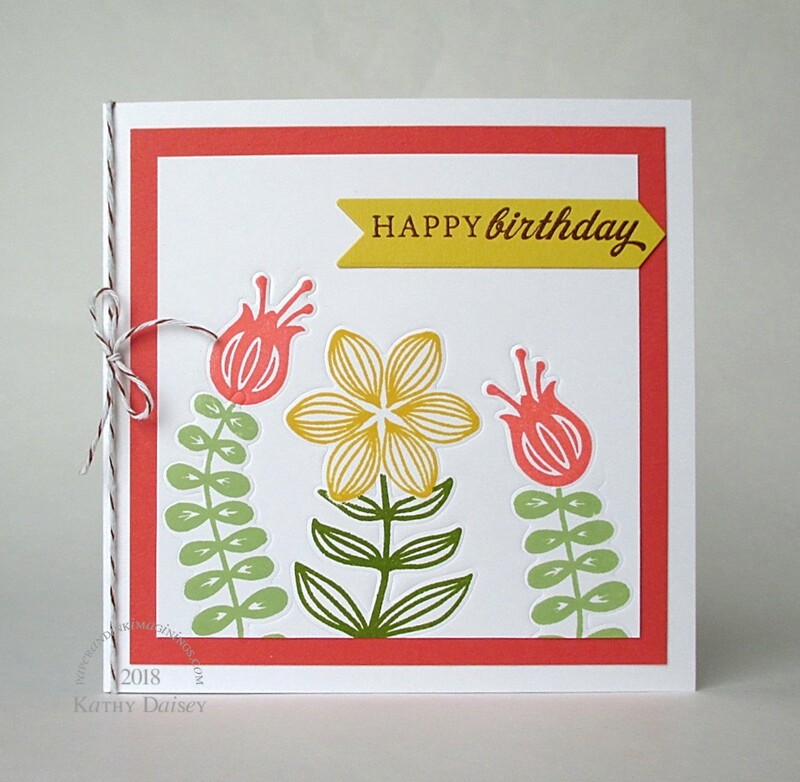 I stamped the flowers first, then used a little masking to get the stems where I wanted. It looked too flat, so I pulled out the matching dies and embossed the outlines around the flowers and stems. YAY! I didn’t ruin the card! 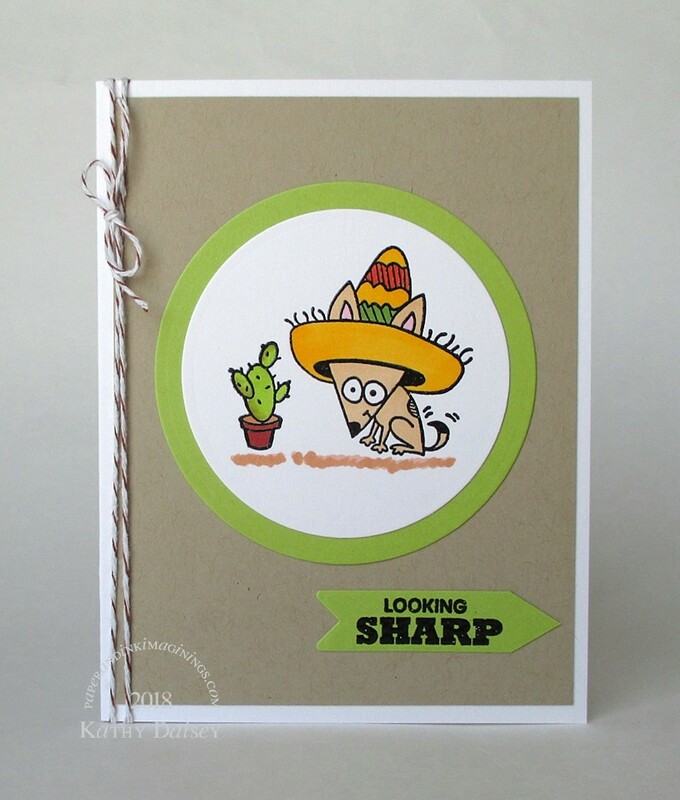 Supplies: Stamps – Essentials by Ellen, Papertrey Ink, paper – Neenah Classic Crest Solar White, Stampin’ Up! 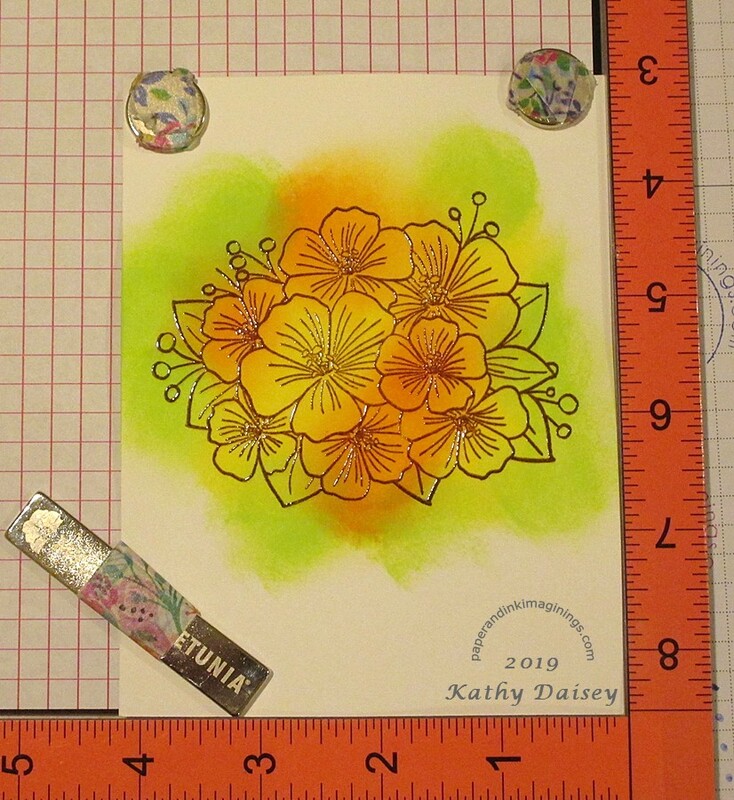 Calypso Coral, Daffodil Delight, inks – Stampin’ Up! Cameo Coral (retired), Certainly Celery (retired), Daffodil Delight, Old Olive, VersaFine Vintage Sepia, dies – Essentials by Ellen (flower/greens), Taylored Expressions (banner), embossing powder – Ranger clear, twine – Martha Stewart. 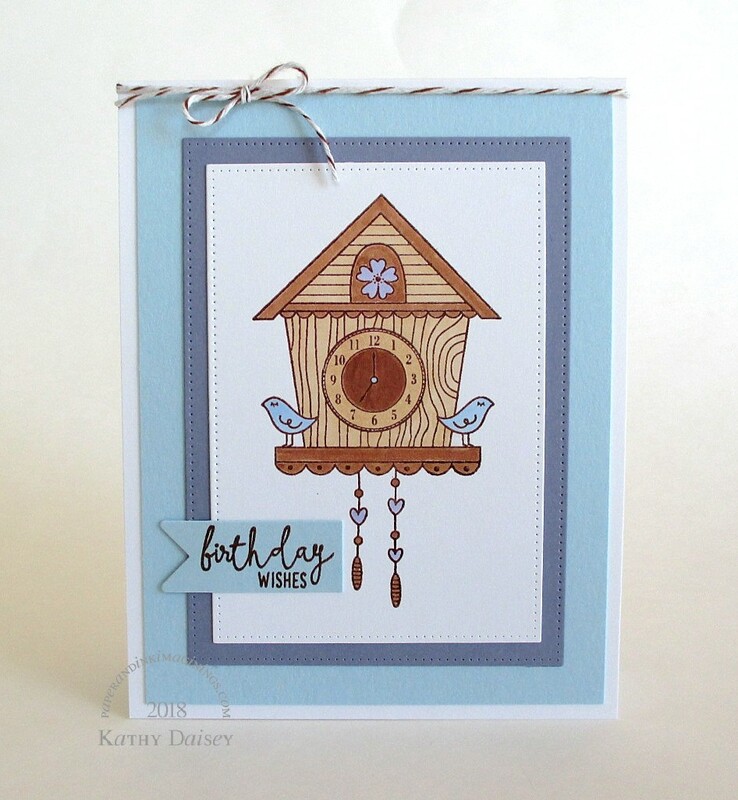 Categories: birthday, card | Tags: card, Essentials by Ellen, Martha Stewart, Neenah, Papertrey Ink, Ranger, Stampin' Up!, Taylored Expressions, Tsukineko, VersaFine | Permalink.